Interesting piece in BusinessWeek recently that made me think of the larger question of investing and how to go about it. 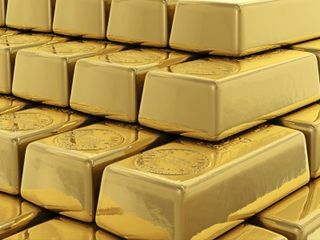 People work hard (presumably) to get money and then once gained, they have to decide what to do with it... options ranging from using it to purchase gold bullion, bury in a shoebox or invest in the market. Regardless of how they go about it, people's decisions are geared towards the end of having money (or more money) later. From the perspective of having money for retirement, the historical approach was that employees would rely in their later years on benefits provided by lifelong employers. However, as more and more companies exit the pension providing to employees business, the 401K is oft trumpeted as the way to accumulate the nest egg that will be needed for retirement. However, as this 2009 blog post details and links to articles about, the 401K is speculative in nature and comes with the inherent risk (and potential reward, of course) that any investment in the market contains. With this in mind, one thinks about the markets... and how sound investments there are. If a measure of soundness is logic, then perhaps there is cause for concern. One good example of this was the Michael Lewis book "The Big Short" (reviewed here) about the madness of the housing market (and related CDOs and credit default swaps) prior to it's recent crash. So... with this as the background, I came across the recent BusinessWeek story "The Machines That Ate the Market" about the stock market's 6% drop in a 20 minute span on May 6. Yes, the market then bounced back to recover much of that drop, but the stability (and sanity) of the whole thing could certainly be questioned. When you couple this with the idea (written about on this blog post) of how public companies often have to be run towards the goal of short term investment value... investing can be pretty pause inducing stuff.